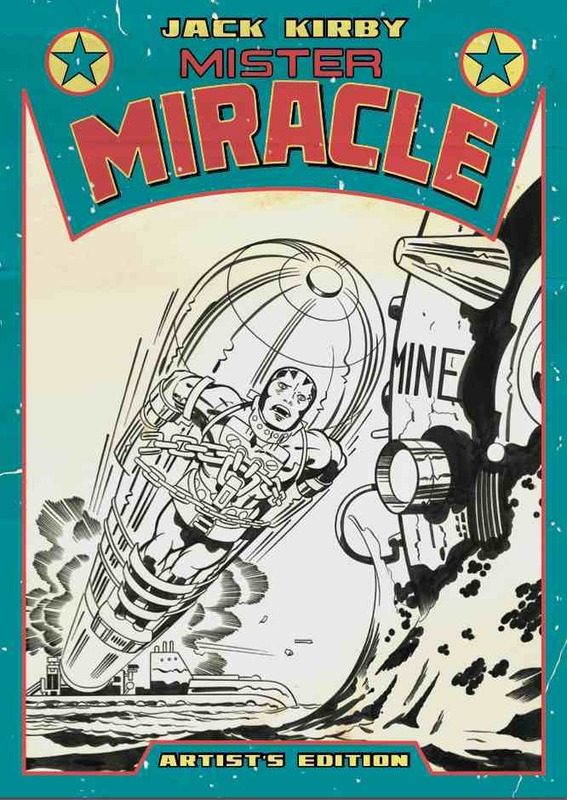 After taking a few years to get around to Jack Kirby, the Artist’s Editions series made up for lost time with five volumes showcasing his Fourth World titles, and since there is enough material for another five, we can expect to see a few more of them. 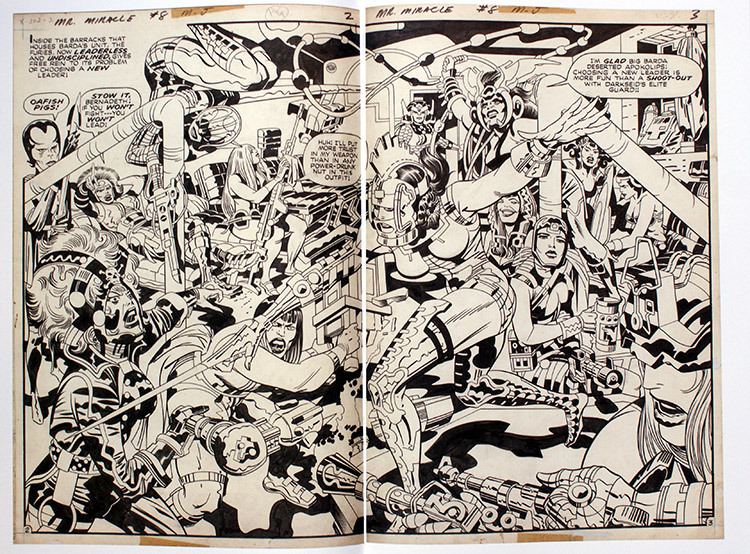 Jack Kirby New Gods: Artist’s Edition was first, and Jack Kirby’s Mister Miracle Artist’s Edition came next. 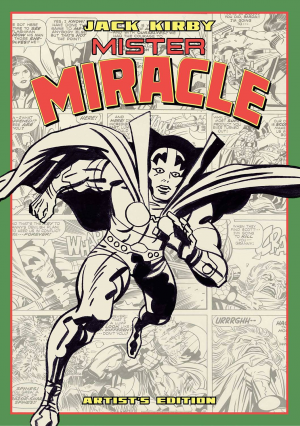 This 430 x 305 mm hardcover book clocks in at a massive 200 pages, the longest of any Artist Edition so far, and presents the original pencil and ink artwork created by Jack Kirby for Mister Miracle. Each page has been photographically scanned in colour at very high resolution and reproduced actual size, on heavyweight paper to produce the sensation of looking at original drawings exactly as created by the artist with all the marks, corrections and artefacts visible. 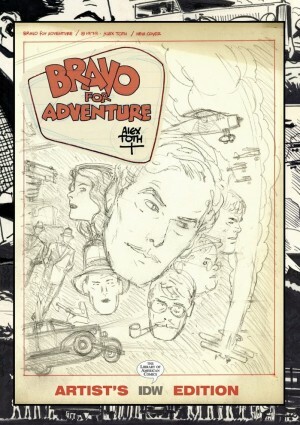 This book features six complete issues – 2, 3, 5, 7, 8 and 9 – written and drawn by Jack Kirby, with inks by Vince Colletta and Mike Royer. 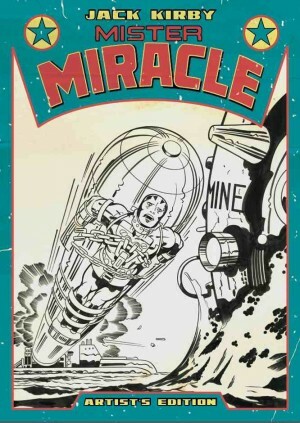 The first 44 pages displaying all the art created for Mister Miracle issues two and three are inked by Vince Colletta, and while there are far less of the white-out and other visible corrections and alterations evident in Colletta’s pages for New Gods, the difference in impact between issues two and three versus issue five onwards is amazing. 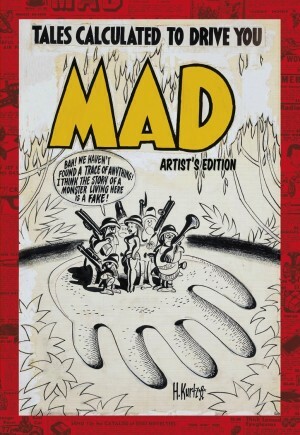 Mike Royer talks about the shocking effect his scrupulously accurate inking of Kirby’s pencils had on fans in his afterword in the Jack Kirby New Gods: Artist’s Edition; it was the first time they had really seen exactly what Kirby’s pencils looked like when inked with no embellishments, interpretations or alterations of any kind. 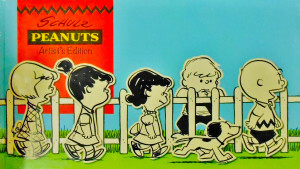 It took a while for readers to adjust to the more powerfully graphic appearance of these pages. The gallery section that follows has three covers, to issues 5, 11 and 12. There is also a double-sized fold-out showing an early rendering of Mister Miracle, beautifully watercoloured, with a double-page spread from issue 11 on the reverse side. 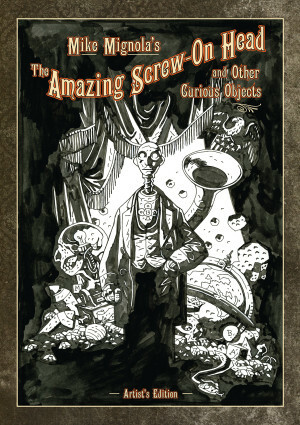 Two other pages from issue 11, a splash page from issue 15 and a full-page pencil drawing complete the extras.